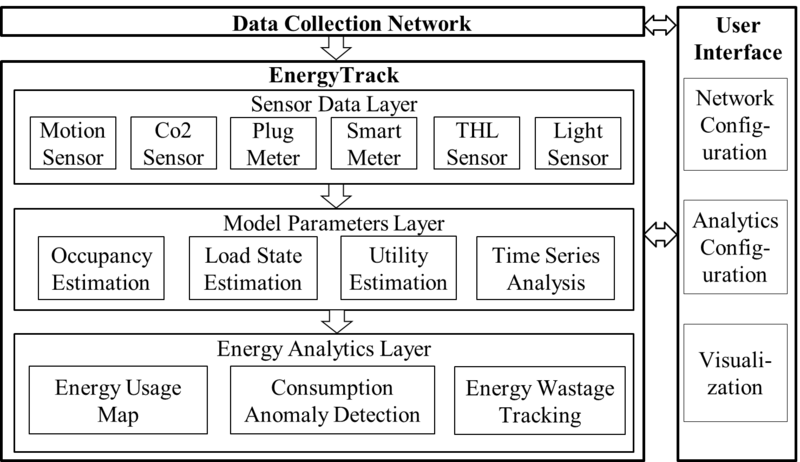 fication (M&V). M&V is the process of using measurement to assess the energy consumption for pre- and post-DSM periods. When M&V is continuously performed, so as to provide energy managers with constant feedback to help them control energy use, it has been shown that an additional 7-12% of energy savings can be achieved when compared to one-time M&V methods. However, it is difficult to practice such continuous M&V due to the lack of low-cost solutions to automate this process within an acceptable level of accuracy. 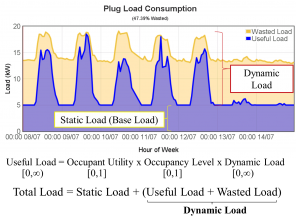 In this work, we attempt to address the problem by proposing a middleware architecture for a sensor-driven energy use analysis system, EnergyTrack, that continuously analyzes, evaluates, and interprets energy usage in buildings using real-time sensor data. The following video demonstrates EnergyTrack. Kindly click on the Settings (gear-shaped) icon and change the resolution to 1080p(HD) before viewing. This icon might become visible only after clicking the play button. 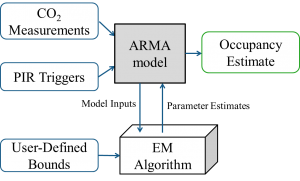 Model Parameter Layer (MPL) and Energy Analytics Layer (EAL). It is supported by the Data Collection Network (DCN) and User Interface Layer (UIL). The UIL is realized in the form of a web-based interface, the link to which can be found at the very bottom of this page. The design and page layout for the thermal comfort user interface in our website was partially inspired by the CBE Thermal Comfort Tool. Occupancy information is a crucial component of our energy usage model. EnergyTrack estimates real-time occupancy in buildings using complementary measurements obtained from PIR and CO2 sensors. 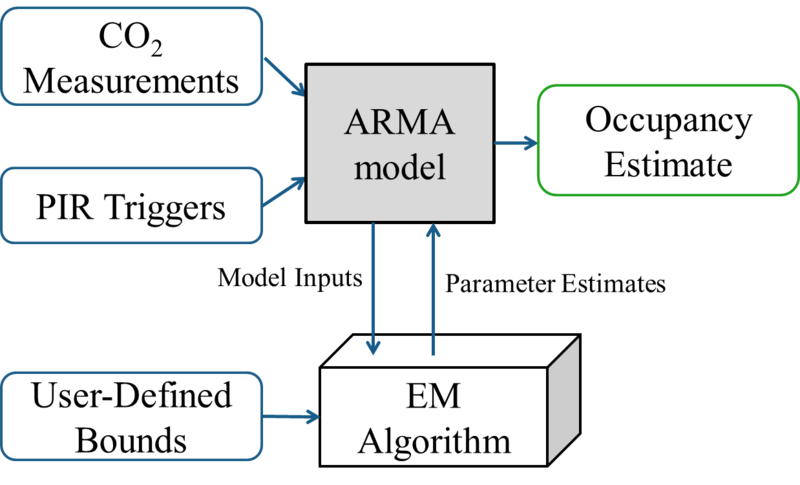 These sensor measurements are mapped to occupancy estimates by means of an Autoregressive–moving-average model (ARMA). The parameters of this model are estimated using Expectation Maximization. This is illustrated in Fig 2.
fies useful and wasted energy use by jointly considering occupancy and occupant utility using this energy usage model. 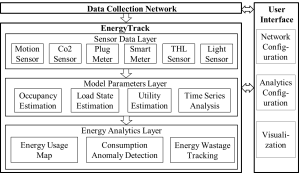 This is illustrated for Plug Loads in Fig 3.
erent dimensions). The EUM is represented by an interactive tree layout to capture the relationships between occupants and end-loads, or between end-loads and zones in our office. 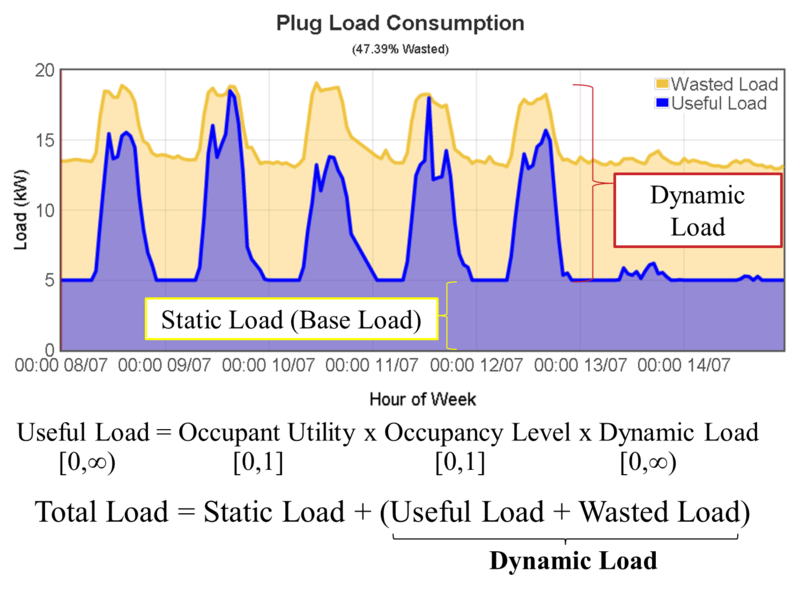 Fig 4 shows a snapshot of the EUM of our testbed for a set of lights and servers. In the figure, the length of the red bar on a leaf node indicates its consumption. This work was supported in part by Singapore’s Agency for Science, Technology and Research (A*STAR) under the Human Sixth Sense Programme, and in part by the Korea Micro Energy Grid (KMEG) of the Oce of Strategic R&D Planning (OSP), Korea government Ministry of Knowledge Economy (grant no. 2011T100100024).